Tree pollarding is effectively an extreme form of tree pruning which often results in the entire tree being stripped back to its trunk and a few major skeleton limbs. For all tree pollarding in Croydon, Dulwich, Crystal Palace, Norwood, Clapham and the surrounding South London areas, ongoing tree surgery will be necessary to see the project through from start to finish. 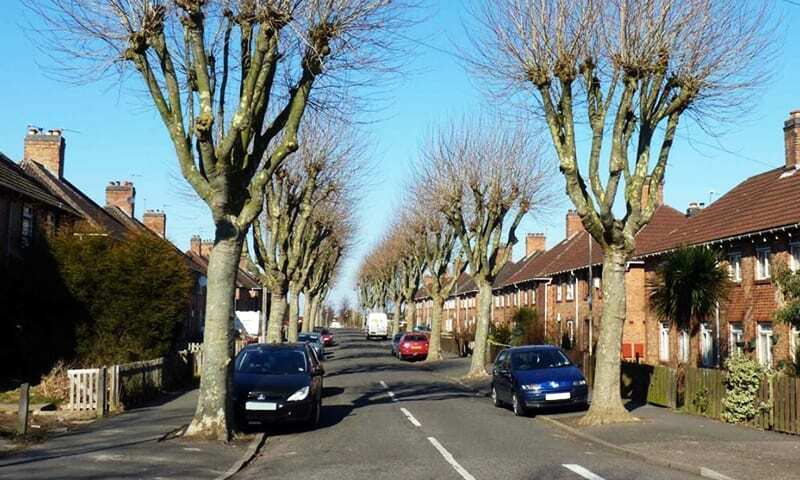 The advantages of tree pollarding include the severe removal of diseased or deadwood, as well as encouraging a thicker foliage regrowth in the future. It’s highly recommended that you use a fully insured, fully qualified tree surgery company for these projects due to the high risk and specialist tools needed for successful completion. At South London Tree Surgeons, all of our staff are insured up to £5m of Public Liability and £5m Employers Liability insurance, giving you the peace of mind that all work is protected and will be completed to the highest safety standards. For a free, no obligation consultation and quotation from one of our experienced arborists, Contact Us today by telephone or through our contact form and we’ll get in touch at a time that’s convenient.